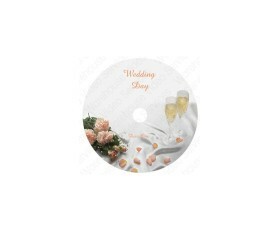 A high quality printed 4.7Gb DVD discs that is ideal for recording your special day and for both the professional videographer and wedding photographers to include as an added feature in wedding packages. 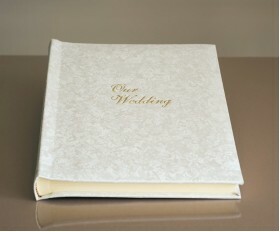 The disc can be personalised with the following text: Our Wedding Day, Wedding Day, Our D..
Harmony Classic Mini - Wedding Photo Album - Page Size 8" x 6"
Harmony Studio 80 - Wedding Album - Page Size 9" x 8 3/4"
Harmony Classic One - Wedding Album - Page Size 8 1/2" x 11 3/4"
Page Size: 8 1/2" x 11 3/4" / 23 x 30 cm 30 cream acid-free sheets with glassine interleaves / 60 sides. 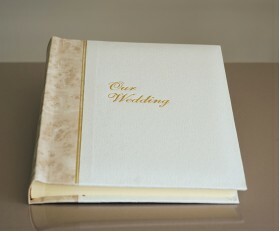 6"x4" 5"x7" 8"x6" 9"x6" 10"x8" ..
Harmony Classic Two - Wedding Album - Page Size 12 1/2" x 12 1/4"
Page Size: 12 1/2" x 12 1/4" / 32 x 31 cm 40 cream acid-free sheets with glassine interleaves / 80 sides 6"x 4" 5"x7" 8"x6" 9"x6" 10"x8" A4 12"x8" 12"x10" ..
Harmony Classic Three - Wedding Album - Page Size 13 3/4" x 13 3/4"
Page size: 13 3/4" x 13 3/4" inches / 35 x 35 cm 50 cream acid-free sheets with glassine interleaves / 100 sides 6"x4" 5"x7" 8"x6" 9"x6" 10"x8" A4 12"x8" 12"x10" .. 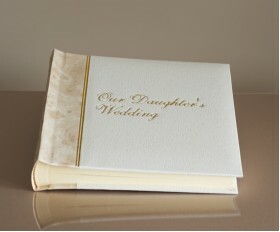 The Heritage Slip-In Wedding Album is handmade in the UK and features a cream cover and cream portrait slip-in pocket pages with fine silver blocking detail.The album holds 5" x 7" portrait photo's. 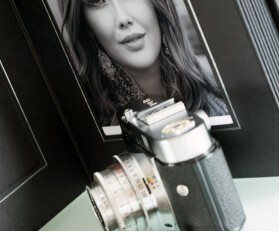 There are two models for either 30 or 50 photo's.The wedding album cover can be embossed with a choic.. 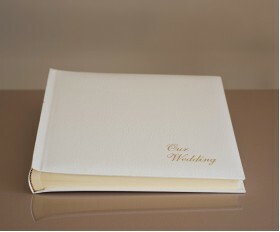 The Heritage Slip-In Wedding Album is handmade in the UK and features a cream cover and cream landscape slip-in pocket pages with fine silver blocking detail. The album holds 7" x 5" landscape photo's. There are two models for either 30 or 50 photo's. 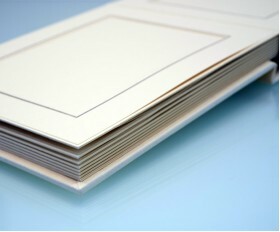 The wedding album cover can be embossed with a.. 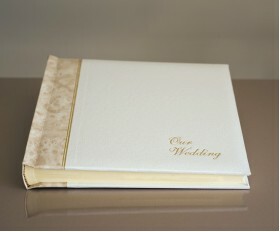 The Heritage Slip-In Wedding Album is handmade in the UK and features a Munich black cover and black portrait slip-in pocket pages with fine silver blocking detail. The album holds 5" x 7" portrait photo's. There are two models for either 30 or 50 photo's. 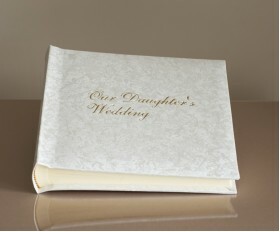 The wedding album cover can be emboss.. 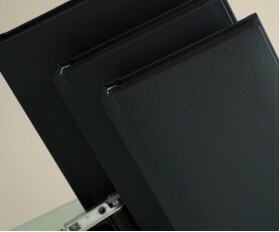 The Heritage Slip-In Wedding Photo Album is handmade in the UK and features a Munich black cover and black landscape slip-in pocket pages with fine silver blocking detail. The album holds 7" x 5" landscape photo's. There are two models for either 30 or 50 photo's. The wedding album cover c.. 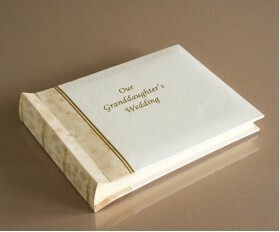 The Heritage Slip-In Wedding Photo Album is handmade in the UK and features a cream cover and cream portrait slip-in pocket pages with fine silver blocking detail. The album holds 6" x 8" portrait photo's. There are two models for either 30 or 50 photo's. 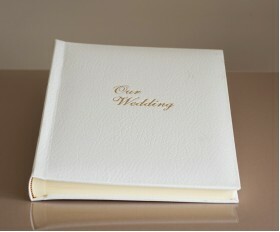 The wedding album cover can be embossed wi.. 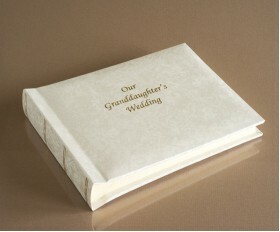 The Heritage Slip-In Wedding Photo Album is handmade in the UK and features a cream cover and cream landscape slip-in pocket pages with fine silver blocking detail. The album holds 8" x 6" photo's. There are two models for either 30 or 50 photo's. 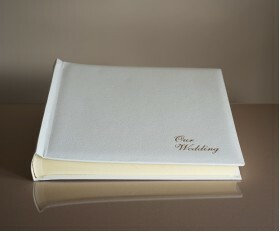 The wedding album cover can be embossed with a cho.. 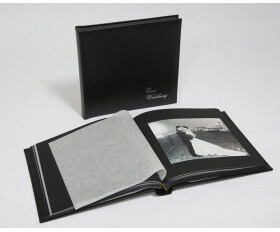 The Heritage Slip-In Wedding Album is handmade in the UK and features a Munich black cover and black portrait slip-in pocket pages with fine silver blocking detail. The album holds 6" x 8" portrait photo's. There are two models for either 30 or 50 photo's. The wedding album cover can be em.. 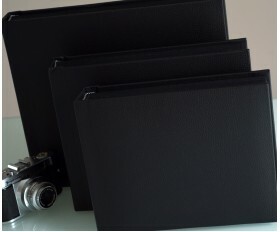 The Heritage Slip-In Wedding Photo Album is handmade in the UK and features a Munich black cover and black landscape slip-in pocket pages with fine silver blocking detail. The album holds 8" x 6" landscape photo's. There are two models for either 30 or 50 photo's. The wedding album cover c.. 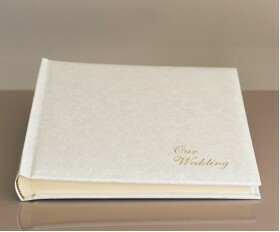 The Heritage Slip-In Wedding Photo Album is handmade in the UK and features a cream cover and cream portrait slip-in pocket pages with fine silver blocking detail. The album holds 8" x 10" portrait photo's. There are two models for either 30 or 50 photo's. 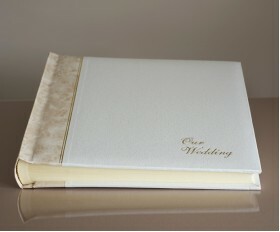 The wedding album cover can be embossed w.. 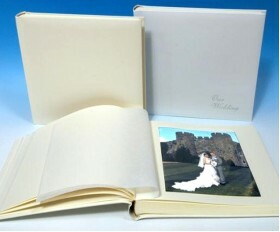 The Heritage Slip-In Wedding Photo Album is handmade in the UK and features a cream cover and cream landscape slip-in pocket pages with fine silver blocking detail.The album holds 10" x 8" landscape photo's. 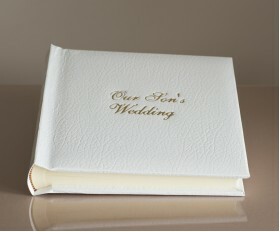 There are two models for either 30 or 50 photo's.The wedding album cover can be embossed wit.. 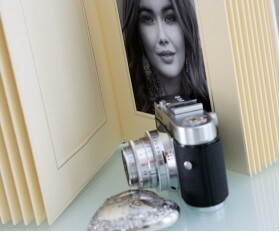 The Heritage Slip-In Wedding Photo Album is handmade in the UK and features a black cover and black portrait slip-in pocket pages with fine silver blocking detail. The album holds 8" x 10" portrait photo's. There are two models for either 30 or 50 photo's. 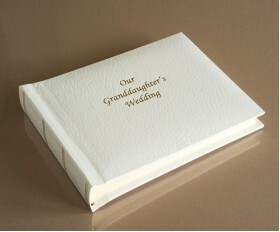 The wedding album cover can be embossed w.. 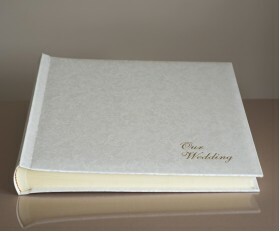 The Heritage Slip-In Wedding Photo Album is handmade in the UK and features a black cover and black landscape slip-in pocket pages with fine silver blocking detail. 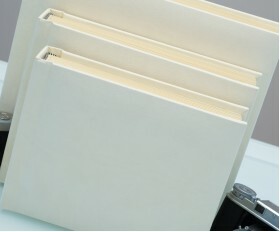 The album holds 10" x 8" landscape photo's. There are two models for either 30 or 50 photo's. The wedding album cover can be ..
Romantica Classic Mini - Wedding Photo Album - Page Size 6" x 8"
Romantica Studio 80 - Wedding Album - Page Size 9" x 8 3/4"
Romantica Classic One - Wedding Album - Page Size 8 1/2" x 11 3/4"
Romantica Classic Two - Wedding Album - Page Size 12 1/2" x 12 1/4"
Romantica Classic Three - Wedding Album - Page Size 13 3/4" x 13 3/4"
St James Classic Mini - Wedding Album - Page Size 6" x 8"
St James Studio 80 - Wedding Album - Page Size 9" x 8 3/4"
St James Classic One - Wedding Album - Page Size 8 1/2" x 11 3/4"
St James Classic Two - Wedding Album - Page Size 12 1/2" x 12 1/4"
Page Size: 12 1/2" x 12 1/4" / 32 x 31 cm40 cream acid-free sheets with glassine interleaves / 80 sides 6"x 4" 5"x7" 8"x6" 9"x6" 10"x8" A4 12"x8" 12"x10" ..
St James Classic Three - Wedding Album - Page Size 13 3/4" x 13 3/4"
Leather Wedding Photo Album - Classic 80 - Ivory White or Cream - Page Size 9" x 8 3/4"
Page size: 9" inches x 8 3/4" inches / 23 x 22 cm 40 cream acid-free sheets with glassine interleaves / 80 sides 6"x4" 5"x7" 8"x6" ..
Leather Wedding Photo Album - Classic Two - Ivory White or Cream - Page Size 12 1/2" x 12 1/4"
Page size: 12 1/2" x 12 1/4" inches / 32 x 31 cm 40 cream acid-free sheets with glassine interleaves / 80 sides 6"x 4" 5"x7" 8"x6" 9"x6" 10"x8" A4 12"x8" 12"x10" ..
Leather Wedding Photo Album - Classic Three - Ivory White or Cream - Page Size 13 3/4" x 13 3/4"
Leather Wedding Photo Album - Classic 80 - Black / Black Pages - Page Size 9" x 8 3/4"
Leather Wedding Photo Album - Classic Two - Black / Black Pages - Page Size 12 1/2" x 12 1/4"
Page size: 12 1/2" x 12 1/4" inches / 32 x 31 cm. 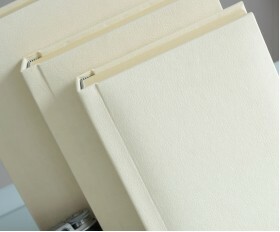 40 cream acid-free sheets with glassine interleaves / 80 sides. 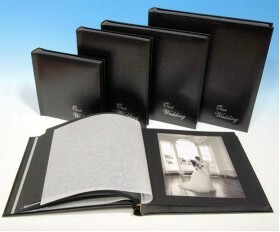 6"x 4" 5"x7" 8"x6" 9"x6" 10"x8" A4 12"x8" 12"x10" ..
Leather Wedding Photo Album - Classic Three - Black / Black Pages - Page Size 13 3/4" x 13 3/4"
Contemporary Classic Studio 80 - Wedding Photo Album - Page Size 9" x 8 3/4"